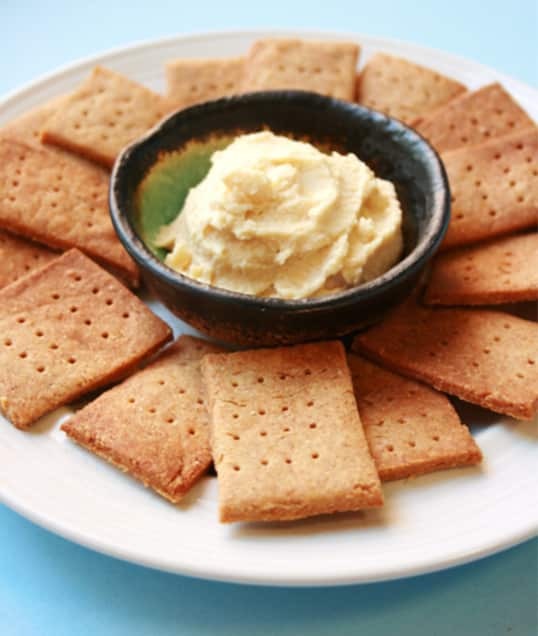 Since hummus and crackers are a flavor match made in heaven, why shouldn’t they be fused into a single delicious snack? 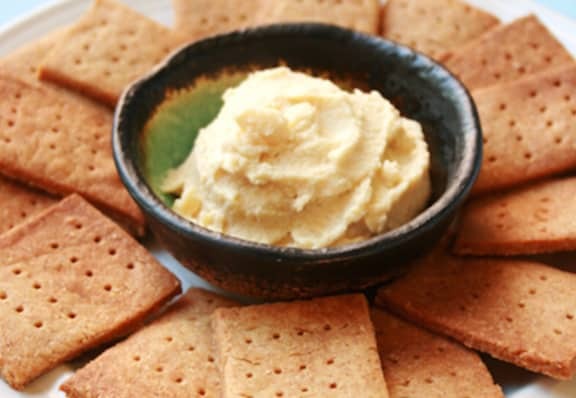 These hummus crackers are good enough to eat on their own but also great with any number of dips. Feel free to use your favorite flavor of hummus. These crackers come together very quickly. 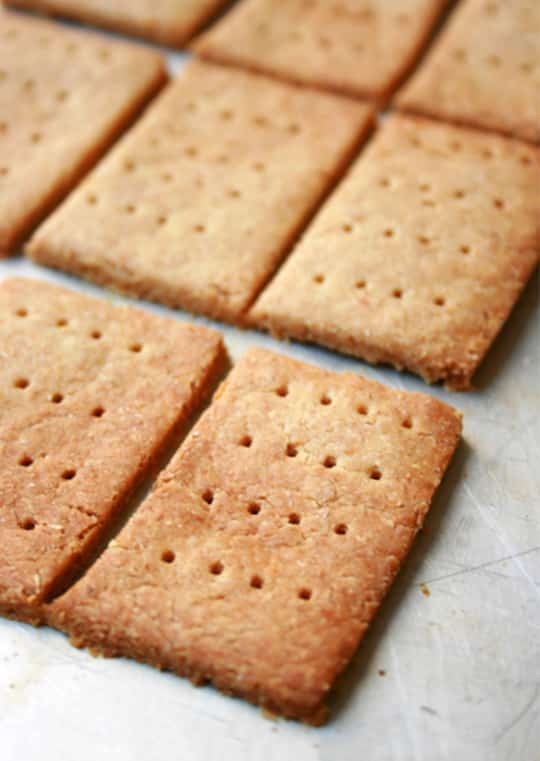 This recipe makes 36 to 48 crackers, depending on how you measure and cut. Double the hummus flavor by serving with hummus, or serve with your favorite spread. They’re good plain, too! Recipe and photos contributed by Hannah Kaminsky. Since hummus and crackers are a flavor match made in heaven, why shouldn't they be fused into a single delicious snack? In a medium bowl, thoroughly cream all of the ingredients together to create a smooth, cohesive ball of dough with a large spoon or a wide spatula. Lightly flour a clean surface, roll out the dough to about ¼ inch thickness and prick it all over with a fork. Cut the dough into equally sized strips, about 1 inch wide and 3 inches long, and lay them on the baking sheet. Bake for 20 to 30 minutes, until lightly browned on the edges. Allow to cool completely, then transfer to a platter to serve. Or, if not serving immediately, serve in an airtight container. Covered, these can stand at room temperature in a cool kitchen for a couple of days. Otherwise, store in the refrigerator, where they’ll keep for quite a while. All I need to find now is the perfect hummus recipe! Last time I made it, it turned out too sour and not gooey enough.